Tue., Aug. 22, 2017, 9:25 a.m.
TEHRAN, Iran – Iran’s atomic chief said Tuesday the Islamic Republic needs only five days to ramp up its uranium enrichment to 20 percent, a level at which the material could quickly be further enriched for use in a nuclear weapon. 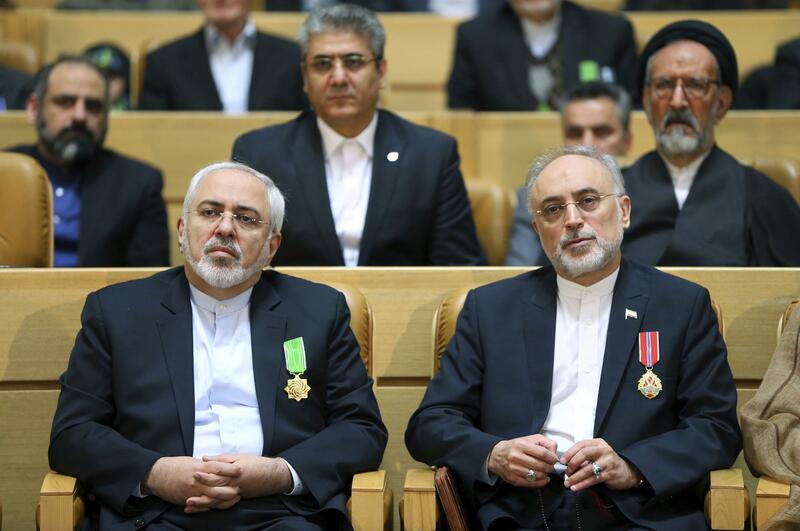 Salehi’s warning, along with recent comments by President Hassan Rouhani, show Iran is willing to push back against Trump while still acknowledging it wants to keep the deal, which lifted crippling economic sanctions. Iran gave up the majority of its stockpile of 20-percent enriched uranium as part of the nuclear deal it struck with world powers, including Trump’s predecessor, President Barack Obama. The accord currently caps Iran’s uranium enrichment at under 5 percent. While Iran long has maintained its nuclear program is for peaceful purposes, uranium enriched to 20 percent can be further enriched in a matter of weeks to the point where it can be used in nuclear weapons. Fears about that so-called “breakout time” were what led the U.S. and other countries to push for the agreement. Iran processed its stockpile of near 20-percent uranium into a lower enrichment, turned some into fuel plates to power a research reactor and shipped the rest to Russia as part of the deal. The Obama administration and most independent experts said at the time of the deal that Iran would need at least a year after abandoning the deal to have enough nuclear material to build a bomb. Before the deal was struck, they said the time-frame for Iran to “break out” toward a bomb was a couple of months. While the economic benefits of the deal have yet to reach the average Iranian, airlines in the country have signed deals for billions of dollars of aircraft from Airbus and Boeing. Car manufacturers and others have swept into the Iranian market and the country has boosted its oil sales. Abandoning the deal would put those economic gains in jeopardy. Rouhani, a moderate within Iran’s clerically overseen government, warned last week that it could ramp up its nuclear program and quickly achieve a more advanced level if the U.S. continues “threats and sanctions” against his country. Published: Aug. 22, 2017, 9:25 a.m.